An album has been riding around in my car and in my bag for the last two months. I have listened to it more than a dozen times but kept delaying my review for “other stuff.” So I am remedying that situation now. 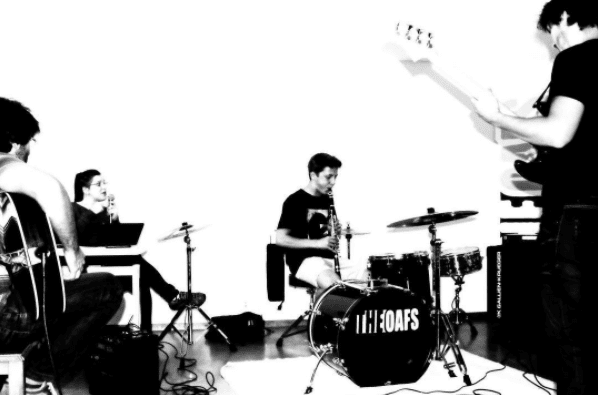 The Oafs first appeared on our radar screen when they released their first single, “Come Back Home,” from their initial EP Mr. J. I was really struck by its beauty. 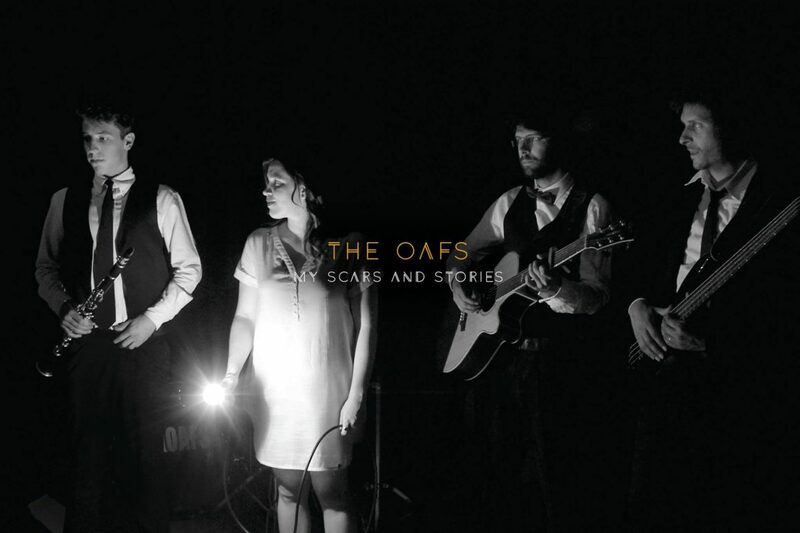 Now The Oafs have released their first full-length album titled My Scars and Stories, a wonderful mix of indie, pop and folk. The 13 tracks on the album cover a wide range of sounds and wider range of emotions. You can find our 2015 review here. In My Scars and Stories, we narrate stories and expose the bad scars and the good scars, the scars that builds a person. We woke up in the middle of the night and started to write to get things off our chest. Things like the most desperate call or the merest statement. In this way we expose our weaknesses, as individuals and as musicians, because we believe that music isn’t made only of beautiful stories. This is not, however, a depressing album. There is much optimism in the telling of these stories, and the music is beautiful. Just who are these Oafs? Eva Gomes handles the lead vocals and plays electric guitar and percussion. 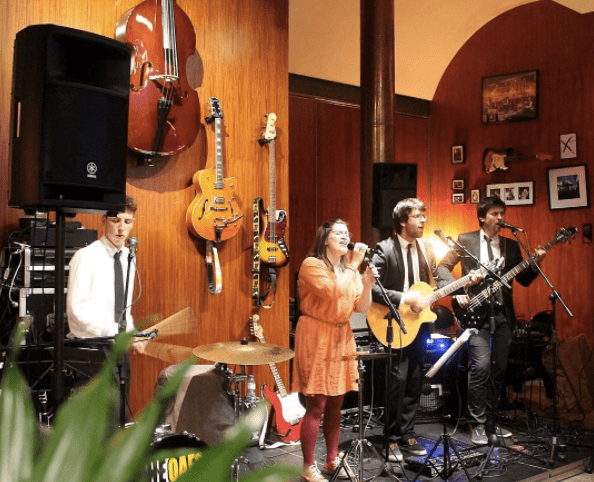 João Dias plays acoustic and electric guitars and adds harmony vocals. Afonso Carvalhido also sings harmony in addition to his fine work on clarinet and percussion, and bassist Raul Carvalho sings, too. 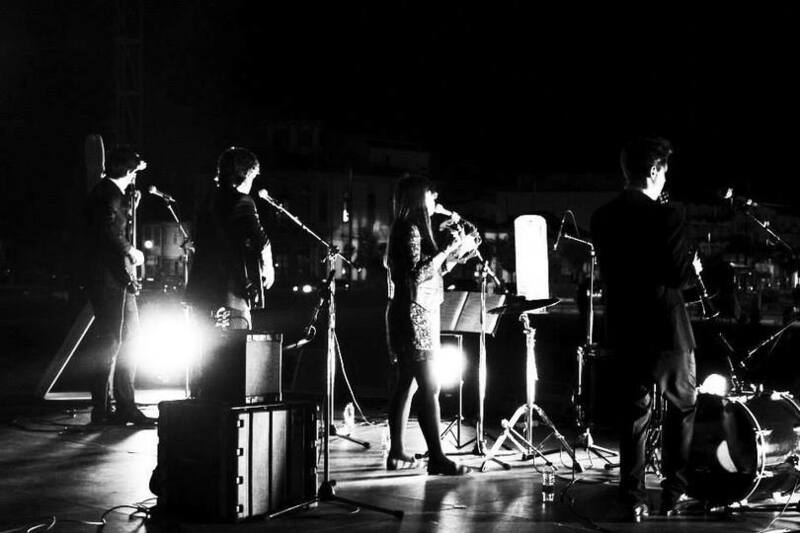 In addition to the quartet, guest Flora Castro plays the violin and the viola on four tracks. Did I mention that they are from Portugal? You might notice the occasional turn of phrase that sounds a little unusual, but Gomes’ lilting voice is so delightful that you really won’t pay attention to it. Can you push the right button? Can you push the right button? With the red one you can change the world. With the blue you can end the anger. With the green you can plant one million trees. With the yellow you can dispel all the clouds. 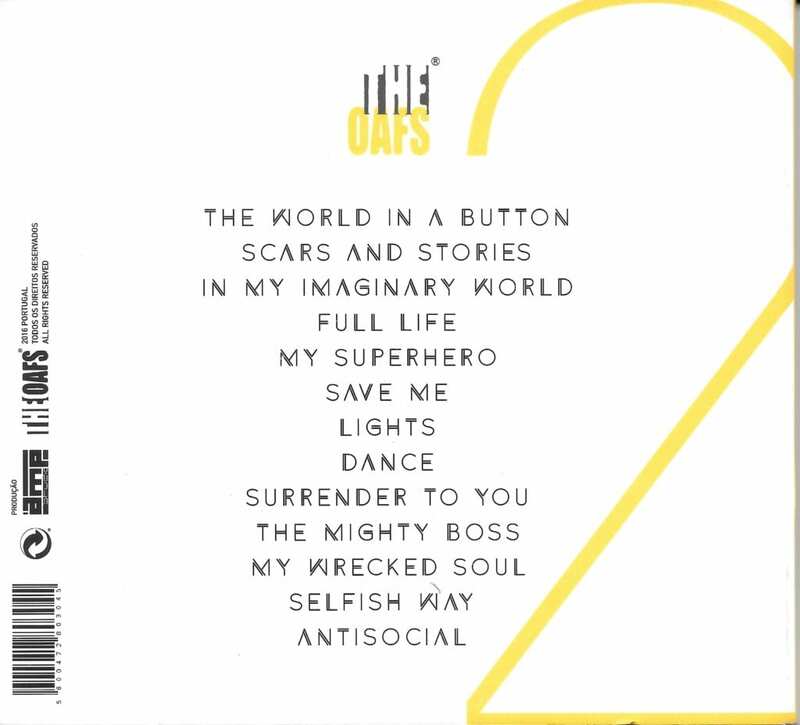 “Scars and Stories” introduces you to the bands signature sound, Gomes’ lead vocals, Carvalhido’s beautiful clarinet, Dias on acoustic guitar, with Carvalho’s bass propelling the beat. Either Gomes or Carvalhido provides the beat. And Castro is here, too. It is gorgeous. This galaxy is too small for me. In your face the sweetest disguise. The muted guitar intro sounds almost new-wavy on “Full Life,” “craving for your arms.” The guitar solo here stands out while great harmony vocalese in the background fill the sound. It threatens to explode before returning to that beautiful muted close. The time to cross the line and start to shine. Welcome to my alternate universe, where I can be on my own. When he dances with his hand around your waist. It is a celebration, pure and simple, full of optimism. Oh, let me explore the world with you, surrender to you. With you I never feel alone. I know you’re the one. A great beat kicks in, really driving the song with bass drum and cymbals, and the electric guitar solo is great. The first lyric says it all: “Do you even hear what’s coming out of your mouth?” There is some great violin on the tune courtesy of Castro, and Carvalhido’s clarinet is deluxe again. As is, on every song, Gomes on vocals. This album is infectious. You get the general idea about “My Wrecked Soul,” but even here there is an attempt to look for a silver lining: “And I try not to show my despair,” confident that there are others who care. The electric guitar shimmers, and the drums during the clarinet solo are great as well. Castro is in the mix again. Gomes is pleading to change old ways in “Selfish Ways,” introduced with space bass (which sounds great). The song also features more great harmonies. Please stop with your selfishness. We’ll try to forgive your mess. Finally, we get to the rocker “Antisocial.” This tune runs the gamut from folk to new wave to muted Black Sabbath. And it bounces! A fish drown on the coast. I’m visible as a ghost. 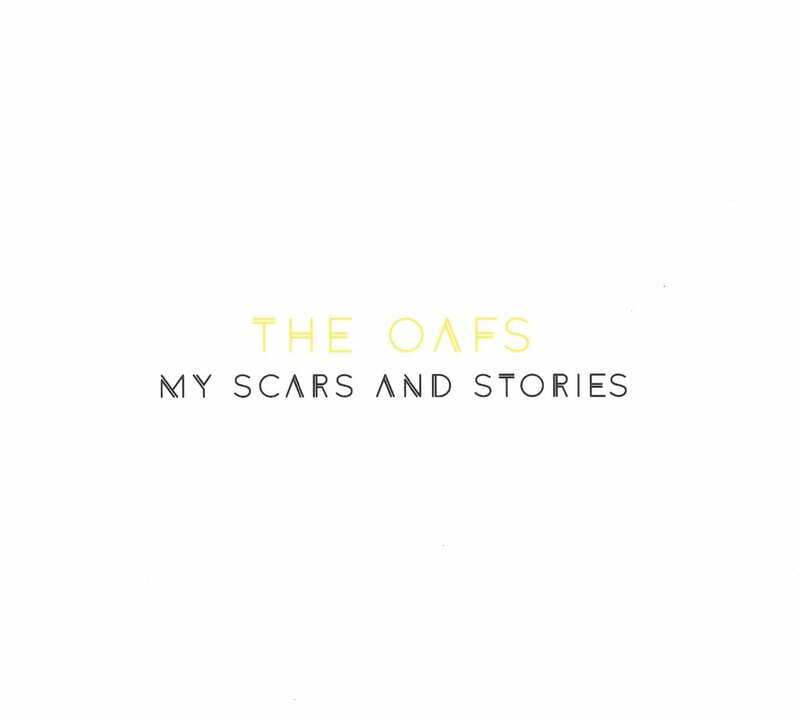 So those are the scars and stories The Oafs want to share with you. I am very glad they shared them with me. I hope you think so, too. All of the music is on the Reverbnation link below.